You can almost literally sleep on the water! That’s what the luxurious resorts on the sea around the world offer! The cabins on the water, known as “stilt houses” are built on pillars or stakes in water such as lakes, ponds or the seashore. Can you imagine listening to the sound of the waves, fast asleep with the sea breeze in the environment that will make your dreams placid and fantastic. In this sense, it is very unlikely you’ll want to get out of bed, but in the morning just after opening your door you can jump directly to the crystal clear waters and take a refreshing swim. It’s amazing! If you like this idea today we present a selection of the best luxury resorts on the sea around the world, so you can choose the one that best suits your tastes and your dreams. The Maldives is an ideal destination for an unforgettable holiday, thanks to the beautiful beaches of white sand and warm and charming scenes with lovely landscape, where you can see the beautiful coral reef. Here in this unspoiled nature, fresh fish and sea breezes are just around the corner and welcome visitors in the best way. 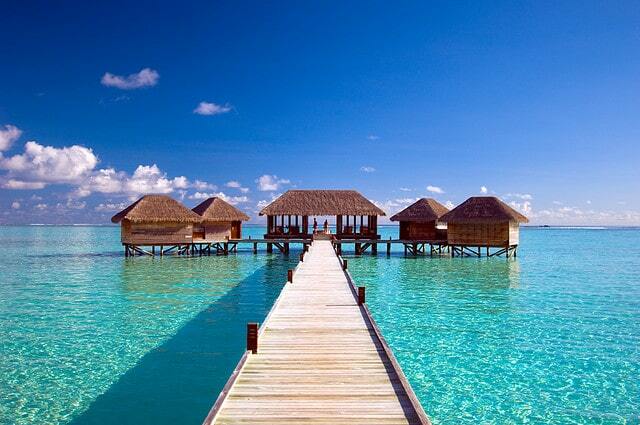 In this paradise you will find the Cocoa Island Hotel composed of stilt houses built directly on the turquoise waters. Goldfish, the sea around you and sunshine greet you in the morning. You get to enjoy a life that is fantastic! From the other side of the earth comes this spectacular hotel on the water. 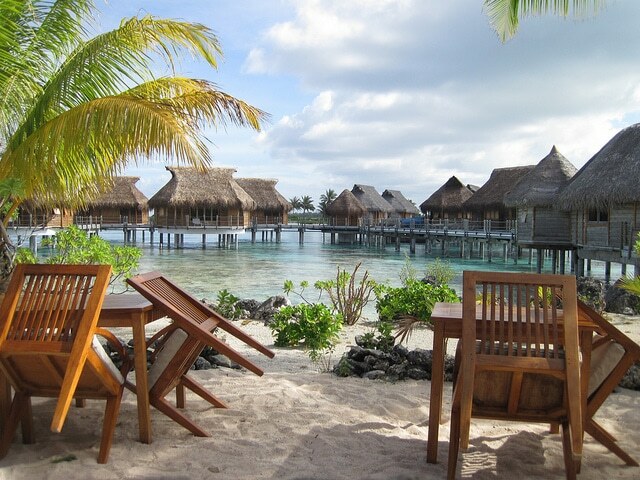 French Polynesia is a wonderful area in the South Pacific and consists of a collection of small islands. You can admire an exotic landscape, beautiful white sand beaches and all that can imagine when you think of paradise. 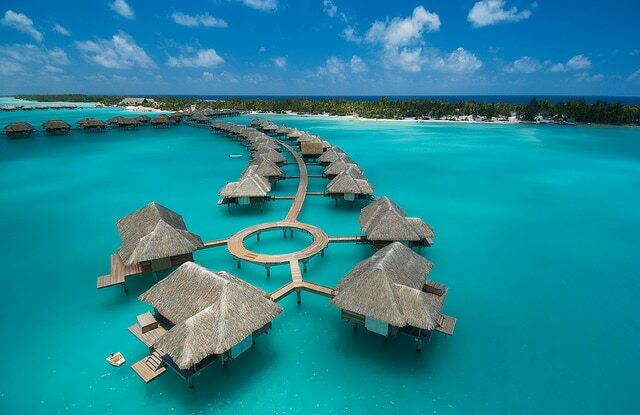 Four Seasons Bora Bora Hotel is a complex compound with elegant cabins on turquoise water, a combination of modern and high quality furniture, and the icing on the cake is the leading pool, located right next to the transparent blue water. A paradise designed exclusively for you! This resort has an incomparable beauty. 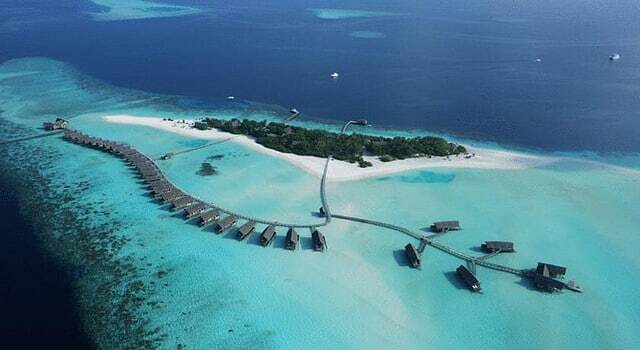 The Gili Lankanfushi hotel is located in northern Male Atoll island in the Maldives. Small boats will bring you breakfast in the morning, or you can go paddling closer to the shore and then take a walk along the beach during sunset. Also at any time you can wear your bathing suit and go swimming in the wonderful crystal clear waters. But do you not think that these cabins must always be by the sea. 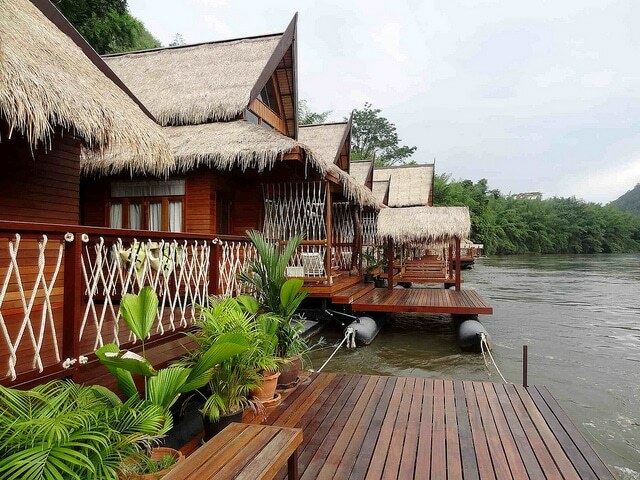 The wonderful Float House hotel is located on the River Kwai, in the south-east of Thailand. Guarded by green hills. You can spend days in the heart of Thai nature and listen to the stream. Thailand has, without doubt, some wonderful beaches, but also offers a different holiday by living in the middle of a jungle, making routes and relaxing while leaving your worries behind. 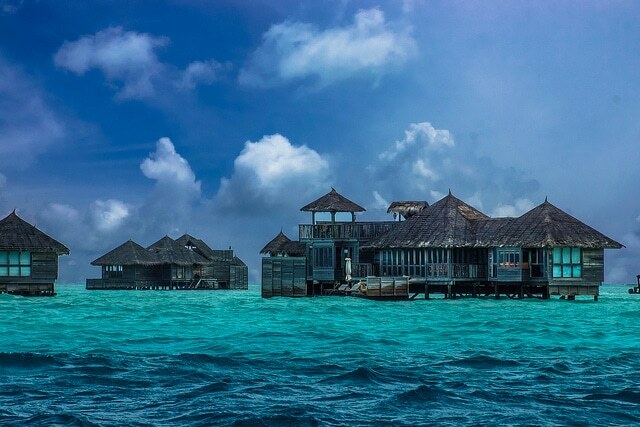 When connecting the idyllic landscape with an atmosphere of luxury and exclusivity, we find this luxury hotel in the Maldives. The Conrad Maldives Rangali hotel is made up of wonderful luxury cottages on the water, equipped with all the services and amenities you need for your holiday, and even more! From the bedroom you will have wonderful views of the turquoise sea, goldfish and sunset that you’ll remember forever. If you want a stilt, straight out of your dreams, without a doubt, this is it. Only a small boat can get you to this small island in French Polynesia. It’s an island with sand dunes, impressive palm trees, sandy beaches and the stunning Tikehau Pearl Beach Resort. Staying at this wonderful establishment will give you the feeling of being in your own house. The stilts over the water provide a small paradise. They are very cozy. You can enjoy the essence of life without worries! Who wouldn’t!? Photos: pablo marx, keeping travel ahead, Beryl, Falrus Khafiz, Roderick Eime, luxury hotel.